On December 27, 2008, Israel launched Operation Cast Lead, a massive, 22-day military assault on the Gaza Strip. The ferocity of the attack was unprecedented in the more than six-decade-old conflict between Israelis and Palestinians, killing some 1,400 Palestinians, most of them civilians. In the aftermath of the offensive, a UN-appointed fact finding mission found strong evidence of war crimes and crimes against humanity committed by both the Israeli military and Palestinian militias. Investigations by human rights groups such as Amnesty International and Human Rights Watch came to the same conclusion. More than 20,000 people - many of them already refugees, some two or three times over - were made homeless. Attacks on Gaza's electricity infrastructure caused an estimated $10 million in damage, according to the Israeli advocacy group Gisha. 268 private businesses were destroyed, and another 432 damaged, at an estimated cost of more than $139 million, according to an assessment by the Private Sector Coordination Council, a Palestinian economic group. A separate report found that 324 factories and workshops were damaged during the war. According to the UN Relief Works Agency (UNRWA), which provides services to Palestinian refugees, the offensive damaged almost 20,000 meters (approx. 12 miles) of water pipes, four water reservoirs, 11 wells, and sewage networks and pumping stations. Israeli shelling also damaged 107 UNRWA installations. Eighteen schools, including 8 kindergartens, were destroyed, and at least 262 others damaged. Numerous Palestinian government buildings, including police stations, the headquarters of the Palestinian Legislative Council, and part of Palestinian President Mahmoud Abbas' compound, were also destroyed. After an investigation of the destruction of civilian infrastructure in Gaza, Human Rights Watch accused the Israeli military of violating the international ban on "wanton destruction" found in the Fourth Geneva Convention. Six months before Cast Lead, Israel negotiated a ceasefire with Hamas and other Palestinian armed groups in Gaza. Under the agreement, which went into effect on June 19, 2008, both sides agreed to stop hostilities across the Green Line, the de facto border between Israel and the Gaza Strip. Despite a number of violations by both sides, the truce was largely successful. Hamas negotiators claim that Israel agreed to end its closure of Gaza's border crossings as part of the ceasefire agreement, however Israeli officials dispute this. While Israel did resume operations at one border crossing, the overall policy of closure did not change. Two months after the truce began, the UN reported that the number of goods allowed into Gaza actually decreased. Nevertheless, overall, a situation of relative quiet prevailed in and around Gaza until November 4, when Israeli soldiers staged a raid into the Strip, killing six members of Hamas. The attack, which took place on the eve of the US presidential elections, ended the ceasefire and led to an escalation of hostilities culminating in Cast Lead the following month. Cast Lead proceeded in two phases: a week of intense aerial bombing followed by two weeks of a joint air and land assault and invasion. The surprise attack began at 11:30 a.m. on December 27, 2008, with Israeli F-16 fighter jets, Apache helicopters, and unmanned drones striking more than 100 locations across the tiny, crowded Gaza Strip within a matter of minutes. Among the targets were four Palestinian police stations, including the central police headquarters in Gaza City, where a graduation ceremony for new officers was underway. Ninety-nine police personnel and 9 members of the public were killed in the first minutes of the attack. By the end of the first day at least 230 Palestinians had been killed. The massive bombardment continued until January 3, 2009, when the Israeli army invaded the Strip from the north and east. Israel's navy also shelled Gaza from offshore. On January 18, 2009, under enormous international pressure and just two days before Barack Obama was sworn in as President of the United States, Israel declared a unilateral ceasefire and withdrew its forces from Gaza. Palestinian armed groups followed with a separate unilateral ceasefire. Reports of the exact number of Palestinians killed vary, but casualty figures supplied by credible independent nongovernmental organizations are generally consistent. The Gaza-based Palestinian Centre for Human Rights reported that the offensive left 1,419 Palestinians dead, including 1,167 civilians. The Centre also reported more than 5,000 Palestinians wounded, as did the UN Office for the Coordination of Humanitarian Affairs. The Israeli human rights group B'Tselem reported 1,385 Palestinians killed, including 762 noncombatants, and 318 minors under the age of 18. Officially, local authorities in Gaza put the total Palestinian fatalities at 1,444. For its part, the Israeli government claimed that 1,166 Palestinians were killed, including 709 combatants. According to Israeli authorities, three Israeli civilians and one soldier were killed by rockets fired from Gaza during Cast Lead. Nine Israeli soldiers also died in combat in Gaza, including four killed by friendly fire. According to the UN, 518 Israelis were wounded. In April 2009, following international outrage at the carnage caused by Cast Lead, the UN Human Rights Council established a Fact Finding Mission to investigate possible violations of international law committed during the conflict. Leading the mission was Justice Richard Goldstone, a former judge of the Constitutional Court of South Africa and war crimes prosecutor for Rwanda and the former Yugoslavia. The four members of the mission visited Gaza in late May and early June 2009, holding hearings there and in Geneva. They conducted 188 interviews and reviewed more than 10,000 pages of documents, more than 30 videos, and 1,200 photographs. Israel refused to cooperate with the inquiry, denying the mission the opportunity to meet with Israeli officials or visit the West Bank. As a result of its investigation, the mission issued the so-called "Goldstone Report," a 575-page document detailing alleged war crimes and crimes against humanity committed by the Israeli military. The report also accused Palestinian armed groups of war crimes as a result of indiscriminate rockets attacks on Israeli civilians living near Gaza. Samouni family massacre: In perhaps the most infamous incident of the war, Israeli soldiers ordered around 100 members of the Samouni family into a single building in the Zaytoun area of Gaza City. Soldiers held the family in the building for 24 hours before shelling the building on January 4, 2009. Twenty-one members of the family, all civilians, were killed. Al-Daya family massacre: On January 6, an Israeli F-16 jet fired a missile at the home of the Al-Daya family, also in the Zaytoun neighborhood of Gaza City, killing 22 family members, most of them women and children. White flag killings: The UN mission and human rights groups also documented several cases in which witnesses saw Israeli soldiers kill Palestinians who were fleeing while carrying makeshift white flags to indicate their status as civilians. In one case, a soldier shot and killed two women, Majda and Rayya Hajjaj (aged 37 and 65 respectively) who were fleeing with their families while carrying a white flag in the town of Johr Ad-Dik. In August 2012, in a plea deal with prosecutors, a solider was sentenced to just 45 days in prison for their deaths. To date he's the only person to face serious charges stemming from Cast Lead. 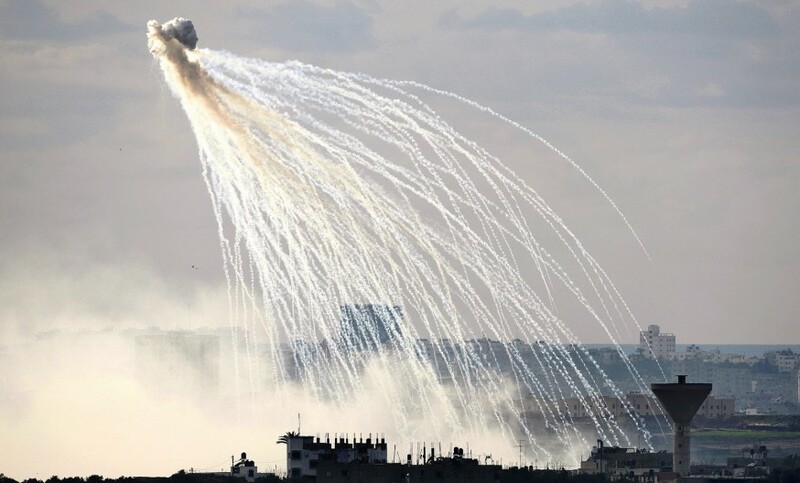 Use of white phosphorus in populated areas: Rights groups, journalists, and the UN mission in Gaza also documented numerous instances of the use of white phosphorus, an incendiary substance that is illegal when used in populated areas. Israeli forces used white phosphorus in attacks on at least two hospitals (Al-Quds Hospital and Al-Wafa Hospital), as well as the central UN compound in Gaza City. Numerous civilian casualties were caused by white phosphorus in the small, densely populated Strip. 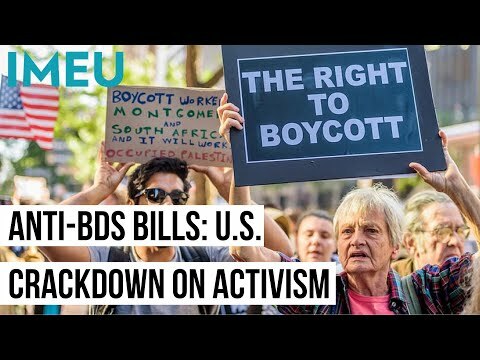 In addition to the Goldstone Report, human rights groups such as Amnesty International and Human Rights Watch issued reports of their own documenting numerous allegations of war crimes being committed by Israeli forces.